This database includes educational games, puzzles, books and other learning activities for young children. Access for this database is only available at the library. Full-text articles on popular culture, computer sciences, engineering, physics, arts, business and more. Read Spanish-language newspapers from all over the world. Collection on African American history and culture. Full-text of American newspapers both national and regional. Search through billions of records for family history in the census, military, immigration and more. AutoMate provides up-to-date service and repair information for thousands of domestic and imported vehicles. Content comes from the Original Equipment Manufacturers (OEM) and includes step-by-step repair information, diagrams, maintenance schedules, parts and labor estimates, service bulletins and recalls and more. A collection of French animated, talking picture book videos. A collection of Spanish animated, talking picture book videos. Interactive experience that pairs classic video storybooks with related nonfiction eBooks to reinforce reading skills. Database of nonfiction E-Book titles. Older students can turn to Britannica Moderna, with more than 47,000 articles plus about 8,000 images. Complete with a dictionary and atlas, Moderna’s new features now make it more valuable than ever for native Spanish speakers, bilingual students, and students learning Spanish. Information and analysis from top management and marketing journals. Provides researchers with the latest information and current trends in high technology such as computer science, programming, artificial intelligence, cybernetics, information systems, robotics, and software. Basic medical information and diagrams for students and the general public. Prepare with these DMV practice tests for car, motorcycle, or CDL exams in Kansas. Perform a search across multiple EBSCO databases to retrieve multi-disciplinary information. Contains indexing and abstracts from education resources for more than 1,000 periodicals and yearbooks. A beginner’s Spanish-language reference tool, the site offers thousands of easy-to read articles packed with stunning illustrations, videos, interactive maps, and a wealth of engaging games and activities—designed to build key language and research skills. Web version of the widely used encyclopedia. Find educational information journals, magazines, books, conferences, and governmental publications. Elementary students can look up articles and facts for research papers, class projects, or homework from the world’s leading magazines and reference books. Middle School students can look up articles and facts for research papers, class projects, or homework from the world’s leading magazines and reference books. High School students can look up articles and facts for research papers, class projects, or homework from the world’s leading magazines and reference books. Perform searches in popular, academic, business, science, and health content. Search through specialized reference databases, journal articles, books, dissertations, etc. Flipster for Libraries provides access to popular magazines online for free when you use it through Kansas City, Kansas Public Library. Click here for a guide to get started. How-to of genealogy research for beginners or an experienced researcher looking for in-depth genealogy data. Provides searchable access to the contents of scholarly, government and popular-interest reports and periodical literature treating topics such as global warming, green building, pollution, sustainable agriculture, renewable energy, recycling and more. Full-text articles and abstracts for the consumer community. Full-text articles and abstracts for the academic medical community. Comprehensive treasury of American genealogical sources—rich in unique primary sources, local and family histories, convenient research guides, interactive census maps, and more. Comprehensive history reference database offering full text from more than 1,600 reference books, encyclopedias, non-fiction books, and leading history periodicals. Oh sorry! We have no Databases starting with I. Provides resources for job-seekers in all stages of the career exploration and job-application process. The Kansas Digital Newspapers (KDN) program seeks to digitize and make available on the Internet digital editions of historic Kansas newspapers. To login with your KS driver's license/state ID and view the entire collection, click here. Full-text of Kansas and Missouri specific local and regional newspapers. Access to the online version of the Kansas City Star with images. Access to the online current and historical version of the Kansas City Star newspaper. Explore a custom collection of news articles of the Historical Kansas City Star dating from 1880-1990. Explore a custom collection of news articles of the Historical Kansas City Times dating from 1872-1990. Provides access to a wide variety of documents on Kansas state history such as: personal narratives and memoirs, pamphlets and political speeches, sermons and songs, legal treatises and children's books. Digitized scans of donated local yearbooks from the library’s Kansas collection. The forms are available for free to assist attorneys, judges, and individuals without an attorney. Some categories of forms include basic instructions, but the forms are not intended as a substitute for obtaining advice from an attorney. Comprehensive test preparation, skills improvement resources, and career guidance for elementary students to adult learners. Provides information centered on the discipline of law and legal topics such as criminal justice, international law, federal law, organized crime, medical, labor & human resource law, ethics, and the environment. Find a large selection of Kansas & Missouri legal forms across topics including: real estate forms; wills; power of attorney; bankruptcy; divorce; landlord/tenant; taxes, and so much more! Also access a dictionary of legal terms, attorney directory, and law digest. This research database provides indexing and abstracting for key library and information science journals, books, research reports and more. Learn a new language or improve your English. Full-text magazine articles covering general interest topics. Electronic forms developed and approved for use in Missouri courts. Contains comprehensive full text for major newspapers such as New York Times, Boston Globe, Christian Science Monitor, Daily Mail, Irish Times, and others. Reading recommendation resource for all ages. Reading recommendation resource for school grades K-8. Offers reliable, comprehensive coverage of the fields of nursing and allied health including journals, video, dissertations, reference books and more. Oh sorry! We have no Databases starting with O.
Oh sorry! We have no databases starting with Q. 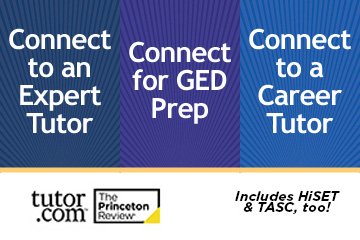 A collection of web-based exam preparation for the GED and American citizenship test as well as skill-building materials. Leading source for business and residential data. Helps users of all kinds search for jobs, find doctors, create marketing and small business plans, locate specific people and more. Provides comprehensive full text coverage for regional business publications. Full-text collection of reference books published by Sage. Collection of data measures that span all 50 states and the District of Columbia. Offers a wide variety of information on small business and entrepreneurial subject areas, common business types, a help and advice section, and provides information on how to create business plans that lead to successful funding. Contains abstracts of more than 270 educational journals and periodicals. 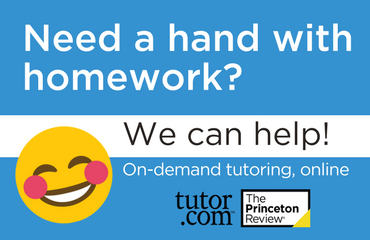 Provides live homework help and in-person tutoring services that connect students to a professional tutor online in math, science, social studies or English. Articles from trade and industry magazines and newspapers. Catalog detailing specialized reference databases, journal articles, books, dissertations, etc. Includes encyclopedia articles, dictionary, atlas, primary source collections, educator tools, student activities, pictures, audio and video, with additional current periodicals and related websites. World Book Kids is the premier online resource developed especially for young students. Offers hundreds of pre-generated timelines across eight broad topics, which cover various time periods in history or span the life of historical public figures. Provides authoritative content and online tools that develop users' global literacy, focusing on the geographic, political, social, economic, and cultural forces that are increasingly important in our globalized world. Oh sorry! We have no databases starting with X.
Digitized scans of dontated local yearbooks from the Library's Kansas Collection. Oh sorry! We have no databases starting with Z. Want to look at databases by interest? Click below to checkout your options. Click the image below for live homework help from tutor.com! Get help writing a resume, studying for the GED, and more!